Obituary for Christopher Wayne Regalia | Williams Funeral Home, P.A. 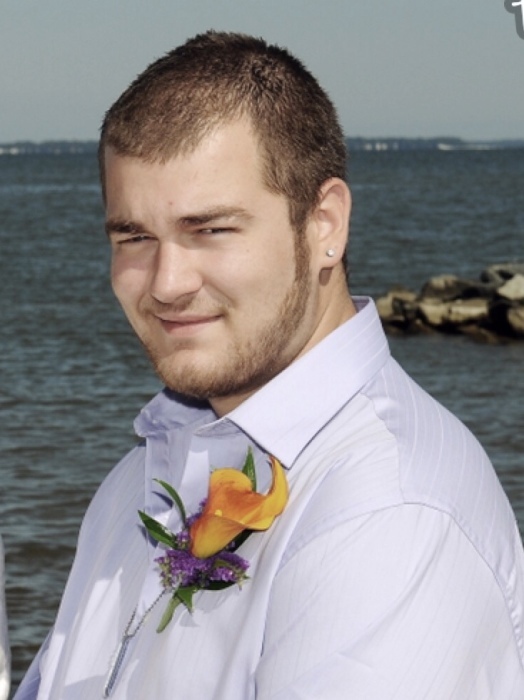 Christopher Wayne Regalia, 27, of Bryans Road passed away June 24, 2018. Born August 21, 1990, he was the beloved son of Matthew (Scott) and Gayle Regalia of Bryans Road, Maryland. Christopher leaves behind his brother Joshua, and future sister-in-law Alyssa Brodeur and an abundance of friends and family. Christopher attended Charles County public schools where he completed Automotive Service and Repair through the Vo Tech program and graduated from Henry E. Lackey in 2008. Chris went on to start his career working for Darcars Chrysler Jeep of Waldorf. He would eventually find his place at Padgett’s Tire and Auto Shop in Brandywine, Maryland. Christopher was an avid outdoorsman who loved fishing, boating and camping. He shared his passion for auto racing with friends and family. He enjoyed pit crewing for their racing teams. Chris also loved sports, snowboarding, and riding motorcycles. Christopher was preceded in death by his oldest brother, Matthew S. Regalia Jr., grandmother, Susan K. McGuire, and grandfather, Lester R. Rackey, Sr. He is survived by grandparents, Shirley Rackey of Bryans Road, and Floyd Regalia (Genie) of Beaverdam, VA. In addition, he leaves behind a host of relatives; aunts, uncles, cousins and numerous friends. A viewing will be held at the funeral home on Sunday, July 1, 2018, from 2-4 PM and 6-8 PM. A celebration of life service will be held at the funeral home on Monday, July 2, 2018 at 10 AM. Interment Trinity Memorial Gardens, Waldorf, MD.